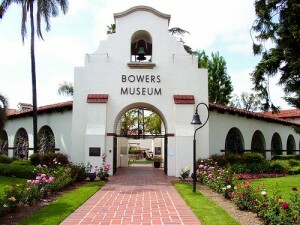 New Santa Ana | Visit Bowers Museum and Heritage Museum for free today! Heritage Museum of Orange County is pleased to offer free admission to Santa Ana residents on the first Sunday of each month. Heritage Museum of Orange County is a cultural and natural history center located on approximately 11 acres surrounding the beautiful 1898 Kellogg House. It includes an historic plaza complete with a number of structures from the 1890s, a working blacksmith shop, and extensive orchards and gardens. A Victorian gazebo and a formal rose garden highlight the plaza area. A nature park covers several acres of the property and includes Santa Ana’s only freshwater marsh as well as the highest point of land in the city. Location : 3101 West Harvard (Near Fairview) Santa Ana, CA 92704 Tel. (714) 540-0404. Ice cones, face painting and henna tattoos all at Bowers today and all for Free! I encourage everyone to go out for the 1st Sunday of every month. The festival was actually moved inside because of the heat so don’t let the weather stop you! Great Latin American exhibit coming up 9.12 All day festival! See you there.